These super simple Caramel Pecan Apple Slices are a deliciously easy to make fall treat. 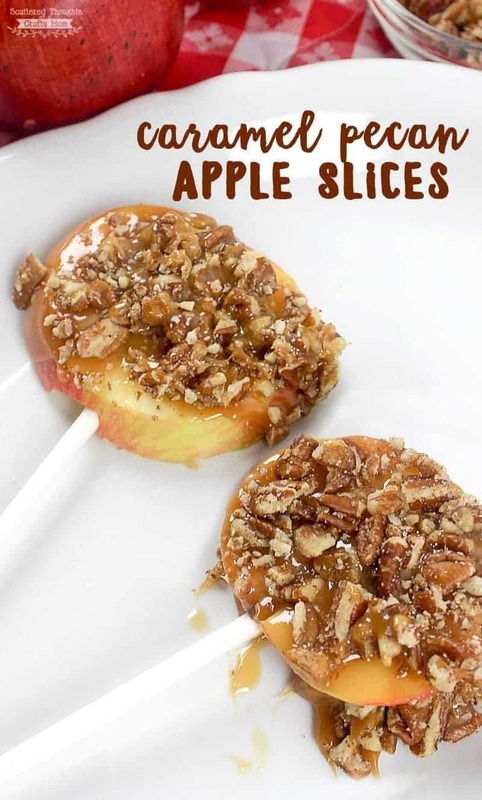 Even better, they’re already sliced and much easier to eat than a traditional caramel apple! Apple cider, caramel, cinnamon, pumpkin, nutmeg… these are some of my favorite flavors of fall. (oh yes, I’m talking about you, Pumpkin Spice Latte!) And what’s a better treat for fall than a yummy caramel dipped apple? Caramel apples are so yummy, but they can also be very messy, especially when kids eat them. It’s all but impossible to eat a caramel apple without getting sticky hands. And we all know, kids and sticky hands are not a good combination, lol. To cheer her up, we invited a friend over for a playdate and headed to the kitchen to make these caramel apple slices. They’re so easy! 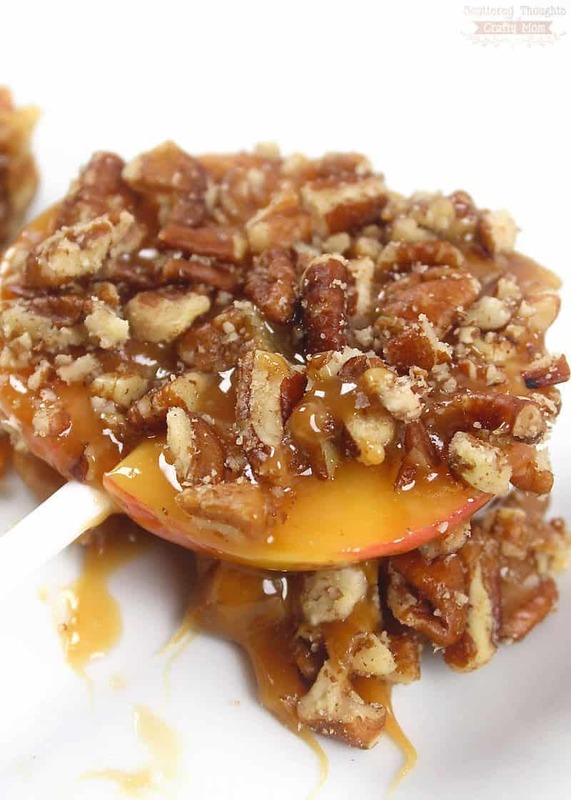 I sliced the apples and put them on the sticks, then let the girls go to town dipping the apples into the melted caramel and sprinkling the pecans. So much fun and yes, they taste as good as they look. Cut one apple into 4 thick slices. 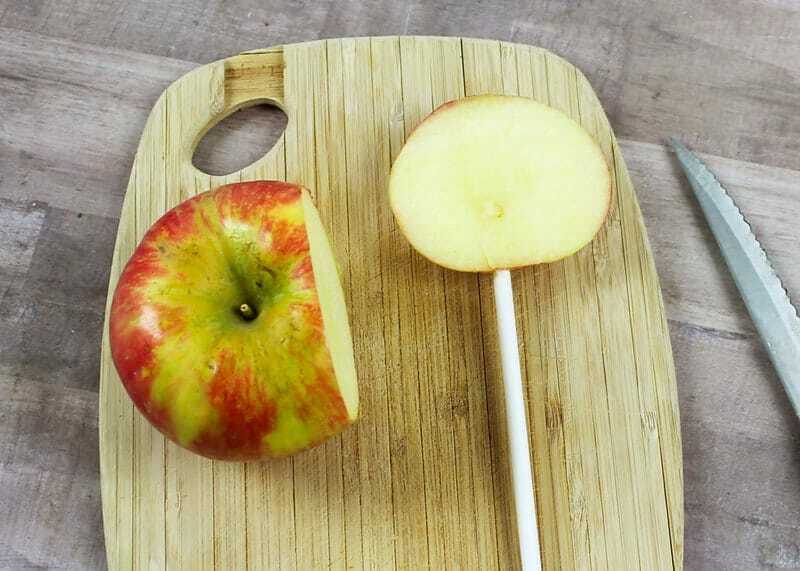 Push the cookie stick in the bottom of the apple slice. 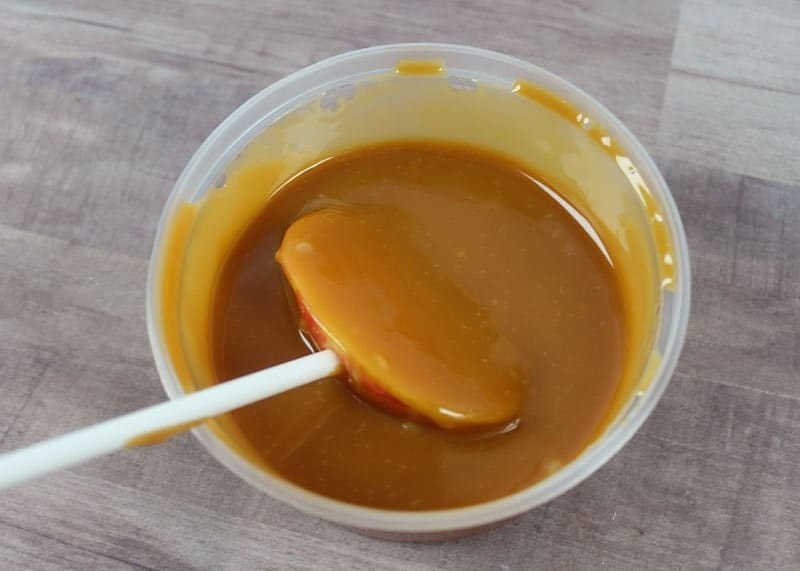 Melt the caramel in the microwave. Dip each apple slice into the caramel, making sure it’s completely coated. 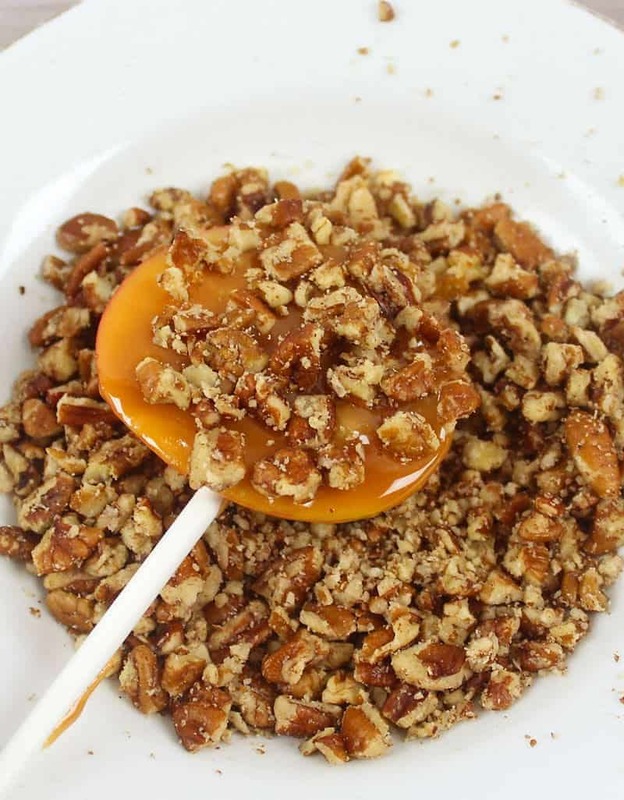 Dip each caramel apple into a bowl of pecans, covering it as much as you want. Eat immediately or you can wait for it to harden a bit.